It seems that talk of our country’s national monuments has been coming up quite a bit lately in the news. While all these talks are going on, has it made you wonder just what are our national monuments? What makes a place a national monument, who decided where they are located, and why should we care so much about keeping them in good shape? Let’s take a closer look at these questions now. June 8th is the anniversary of the Antiquities Act, which was established in 1906. This is a law that gives the President of the United States the authority to establish National Monuments, and it has been used to protect some of America's most treasured lands over the past hundred years. These areas include everything from the Grand Canyon to Grand Teton National Park, among so many others. A National Monument is an area of federal land that has a historic landmark, structure, or other object of historic or scientific interest within its premises. Making it a National Monument gives it permanent protection by the government. These National Monument sites are filled with everything from dinosaur bones and fossils to endangered wildlife to human-made structures. There are so many recreational opportunities within these sites, as the landscapes are truly breathtaking. To be named a National Monument, it does not always have to be a piece of land. This title can also be given to structures. The Statue of Liberty and some areas of the ocean are deemed National Monuments as well. These monuments play an important role in maintaining the integrity of American sites and preserving important Native American artifacts and locations. What Makes Land Eligible for National Monument Status? First of all, a National Monument can only be designated on public land that is already owned by the federal government. A President cannot, under any circumstance, establish a monument on privately owned land or on land owned by the state. The process of establishing a National monument has been exercised by every President since 1906, with the exception of Ronald Reagan. That means that as of today, there are over 100 National Monuments all across the United States. Even though the President does have the authority to unilaterally designate something a National Monument, it is very rare for one to do so without public and local support for the designation. Most Monuments do go though years of public comment as well as proposals and legislative efforts before they are ever designated as such. More often than not, Presidents make their designation at the end of their Presidential term as a way for them to leave a legacy. What Activities are Allowed in National Monuments? Having an area designated as a National Monument will not change who owns or manages the land, but it does limit what people can do on that land. There are efforts to respect any existing rights on the land, meaning that whatever development is already present is allowed to continue for the terms set in place. These existing rights can include anything from oil and gas leases to livestock grazing. However, having an area designated can mean that when a lease on a National Monument expires, it could be more difficult to renew. 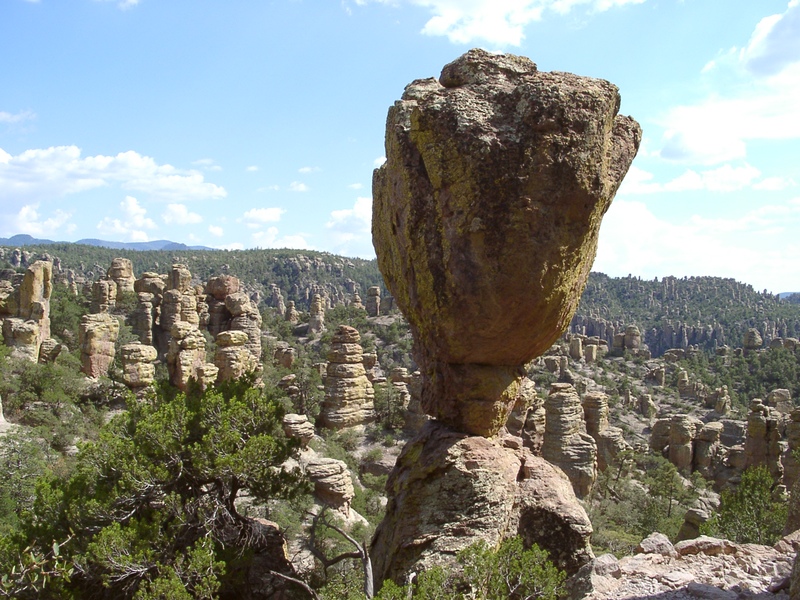 National Monument areas support all kinds of recreational activities like camping backpacking, fishing, horseback riding, and the use of motorized vehicles in designated places. If you want more information on how to act in a National Park, check out Ranger Mac’s blog on the subject! Studies have shown that having these types of recreational activities attract tourists to the towns that surround the Monuments. This boosts the rural economy and allows new businesses to expand or develop. Tourists visitng these places for recreation will need amenities like stores for supplies, coffee shops, restaurants, gas stations, and hotels. This makes the towns surrounding the National Monuments the place to stop, and they have become known as 'gateway communities.' These small-town economies benefit greatly from an area becoming a National Monument and the tourist they attract. It is also common to see a National Monument later become a National Park. Teddy Roosevelt named the Grand Canyon a National Monument in 1908. At the time, a mining company in the area sued the federal government over this designation, stating that it did not make sense to save an entire canyon. Can you imagine what the Grand Canyon might look like today had Roosevelt not set aside that entire canyon and instead allowed mining to continue? What is the National Monument Review? As of 2017, there are over 100 protected areas designated as National Monuments, and 27 of these areas are under review from the current administration. 22 of these areas are land-based monuments, and 5 are ocean-based monuments. All of the 27 monuments were designated by the three previous presidents: Barack Obama, George W. Bush, and Bill Clinton. With an executive order, President Trump has asked the Department of the Interior to review certain Monuments designated or expanded since 1996 in part to make sure that they balance the protection of landmarks, structures, and objects against appropriate use of Federal lands and the effects on surrounding lands and communities. These National Parks are important to the American Legacy and our source of country pride. They are well-traveled tourist destinations, and these National Monuments have played a vital role in our ability to save such places from development and destruction all over the United States. It’s crucial to keep these areas preserved, not only for the wildlife that uses them as a home, but also for our descendants to enjoy their natural beauty as we do.